I’m sure I don’t have to tell you how valuable it is to appear on the first page of results, so I won’t go on and on about it. Instead, I’ll give you a succinct list summarizing the advantages - then, we’ll get into the meat of the article. You’ll get a lot more visits to your website and have a much better chance of filling up your caseload. Whether deserved or not, websites who rank on the first page of search results are seen as more trustworthy and carry more authority. Google tries to make sure that websites on the first page of results carry the most influence in the community. It doesn’t cost a dime to optimize your website and rank high in search results. Due to the increased traffic and exposure, you’ll be able to cut down or fully eliminate marketing money that you allocate for online and traditional marketing. Is it hard to rank high in big cities? Yes, and no. Yes, it is overall harder to rank high in big cities, like the Bay Area, compared to other less tech savvy cities around the country. There tend to be a lot of counselors in the region, which means that there is more competition than in a smaller city. 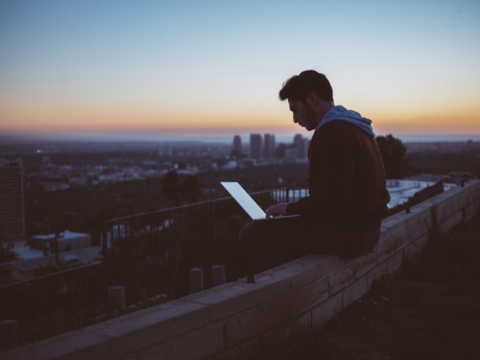 However, compared to other industries that market themselves online, such as news, technology, and legal services, the mental health industry is much easier to rank highly for because counselors and therapists simply do not put a lot of resources into optimizing their websites. Each mental health practitioner you are competing with is running their own small business and primarily focusing on treating their clients. The vast majority of them do not have the time or know-how to work on moving up the ranks in search results. This puts counselors and therapists who are willing to put in a little effort in a very advantageous position. Sometimes with just minimal time and energy applied, you can see solid results. The most common concern I hear when I make the above argument is, “What if everyone took your advice? Then nobody would move up in search results.” I have been providing search engine optimization help to therapists and wellness providers for over 10 years and I know that the majority of people still won’t take action even though they have the tools and the ability to do so. And I also know that even if many people do take action, everyone can still rank high in search results. It’s just that they’ll rank highly for different terms. The objective is to rank high for the specific issues that you specialize in. There is enough success to go around! Who ranks on the first page and how can you outrank them? I have developed a 117 point checklist for optimizing your website (that you can download for free). I use this checklist whenever I audit websites and provide feedback as to how they can start moving towards the first page of search results. The higher your score, the better chance you have for ranking on the first page. If you sign up for TherapyDen’s newsletter, you’ll receive this checklist for free and be sent even more tips on how to attract more clients online. The best part of the checklist is that you don’t have get a perfect score to rank on the first page. It all depends on what search terms, which are also called “keywords,” you’re attempting to rank for. The checklist is divided up into three priority levels: high, medium and low. There are 54 items for high priority, 44 for medium and 19 for low. You should first check off as many high priority items as you can and then eventually make your way to the low priority ones. High priority items can typically be addressed more quickly than medium and low. Let’s take a look at some of the websites ranking on the first page of Google results and see what score it will take to outrank them. If you’re thinking 63 out of 117 seems like a beatable score, you’d be correct. While 63 is a respectable score to get, it’s definitely not impossible to score better. And if you consistently scored on the first page for people looking to treat their depression, you’d likely attract a lot of clients to your practice. This website is the first one to show up right below Psychology Today and Yelp. It’s going to be tough to outrank therapy and business directories. They have strong brand recognition and tons of pages on their sites. But if you can rank right below them, you’re in a really good position. “Couples counseling in San Francisco” is one of the more competitive search terms. It makes sense that a higher score is needed. 81 out of 117 is strong, but again, with some time and effort you can outrank this site. The website does a good job of outranking Psychology Today. Which may seem weird since Psychology Today has such a strong standing with Google. But the reason it can outrank this popular therapist directory is because it is a local site and Google loves to rank local sites over national sites when doing a search for a local business. So don’t simply stop at ranking right below national directories. Do your best to out rank them! Therapy for anxiety is another popular search term in the Bay Area. And the SF Stress and Anxiety center does a great job ranking in the number two position on the first page of search results. However, just like the first example about depression therapy, this website does not have a very high score and can be overtaken by another website that deliberately optimizes their site. Ranking high in search results does not have to be a mystery. Downloading this free checklist built specifically for ranking high in big and small cities is a great first step. A lot of work can be done over a weekend. However, optimizing your site so that it ranks high is something that should be tended to over the lifetime of your website. It’s important to regularly add quality content and attract new links to your site. And remember, you don’t have to be super aggressive about all of this because our industry is not that competitive. 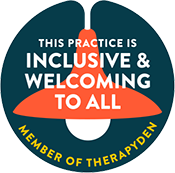 To get free advice about how to move up in search results and attract more clients, sign up for TherapyDen’s newsletter.